The Kidfund websites and mobile applications, together with any products, services or software we make available through or in connection with such websites or applications, are collectively referred to herein as the “Service.” References to “we,” “us,” and “our” refer to Kidfund, Inc.
We may amend these Terms at any time by posting the modified Terms on the Service. The modifications shall be effective upon such posting (unless a later date is specified in the posting, in which case that date shall be the effective date of the modifications). You agree to review these Terms periodically so that you are aware of any modifications. Your continued use of the Service after such modifications constitutes your acknowledgment of, and agreement to be bound by, the amended Terms. License. Subject to and in accordance with these Terms and other guidelines or instructions that we include in the Service, we grant you a limited, non-exclusive license to access and use the Service solely for your own personal use. We reserve the right to terminate this license and your access to the Service, and to remove or discard content you have submitted to the Service, at any time, for any or no reason and with or without notice. We may update, upgrade or otherwise modify the Service at any time with or without notice. Age Requirement; Responsibility. You represent that you are old enough to form a legally binding contract. You may not access or use the Service unless you are at least 13 years old. You are responsible for maintaining the confidentiality of your username and password and for restricting access to your computer or other device. You are responsible for your use of the Service and for all activities that occur under your username/account. You may not assign or transfer your username or account to any third party. Registration. You are required to maintain all information provided during your registration/sign-up process so that it remains true, accurate, up-to-date and complete at all times. You represent and warrant that any information you provide to us is truthful and accurate to the best of your knowledge. We reserve the right to revoke your particular username, or to require you to choose another username or password. The Service may permit you to register through certain third-party social networking services, such as Facebook Connect or Instagram (“Authentication Service”). By registering with or logging into the Service using an Authentication Service, you agree that we may access and use your information on the Authentication Service, including but not limited to your username, profile picture, age and date of birth, email address, and friends/contacts list. We are not affiliated with any Authentication Service and you are solely responsible for your interactions with the Authentication Service. General. You may use the Service only for its intended purpose and in accordance with these Terms and all applicable laws and regulations. Interactions Between Users. Your interactions with other users of the Service, including any gifts or other transactions, are entirely between you and such users. While the Service is meant to facilitate your communication with other users, we are not a party to any transaction you may enter into with any other user. No Advice or Endorsement. We provide no advice, recommendation, endorsement or guaranty with regard to any particular users, gift requests, gifts or other transactions, and we are not responsible for the actions or omissions of any user of the Service. Nothing included in the Service shall be deemed to be legal, tax, financial or other advice. You are encouraged to seek legal, tax, financial and other appropriate professional advice prior to using the Service or giving or receiving any gifts. Taxes. You are solely responsible for the declaration, reporting and payment of any Taxes (defined below) or similar obligations applicable to your use of the Service and any gifts you make or receive. To the extent we are required by applicable law to obtain your taxpayer identification number or other information from you or report any gifts to any taxing authority or other governmental authority, you will promptly provide us with such information on request, and you agree that we may conduct such reporting. (12) authorize, aid, or encourage anyone to do any of the foregoing or otherwise act in violation of these Terms. Hyperlinks. You may create a hyperlink to the home page of the Service so long as the link does not portray the Service, us, or our affiliates or their services, in a false, misleading, derogatory, or otherwise offensive manner. You may not use any logo or other proprietary graphic or trademark as part of the link without our written permission. In order to use certain portions of the Service, you may be required to purchase a subscription or pay another form of fee (“Fees”). Unless otherwise stated, all Fees are payable in U.S. Dollars. You agree to pay all Fees incurred by you or anyone else using your account, and you hereby authorize us and our third-party payment service providers to collect such Fees using the credit card, bank account or other payment method you provide to us. We reserve the right to institute new Fees or change the amount of, or basis for determining, any Fees. You must keep the payment method and other billing information you provide to us current at all times. You can access and change your payment method and billing information via the Service. Any such change will not affect charges we submit via the prior payment method and billing information before we reasonably could act on the change. Fees do not include any taxes, levies, duties or other governmental assessments of any nature, including but not limited to value-added, sales, use or withholding taxes, imposed or assessed by any authority or jurisdiction (collectively, “Taxes”). You are responsible for the payment of all Taxes (other than Taxes assessable against us based on our income) associated with Fees payable or your subscription to and use of the Service. All content included in the Service and originating with us, including but not limited to website and application design, text, photographs, graphics, sound, software and the arrangement of all content on the Service, is the property of us or our licensors, and is protected by United States and international copyright and other applicable law. All rights to such content are reserved to their respective copyright owners. Except as expressly authorized by these Terms or any guidelines or instructions that we include in the Service, you may not reproduce, modify, copy, create derivative works of, sell or distribute any portion of the Service, use of the Service or access to the Service. You may not reverse engineer, reverse assemble, decompile or otherwise attempt to determine or derive the source code of the Service or any portion thereof. 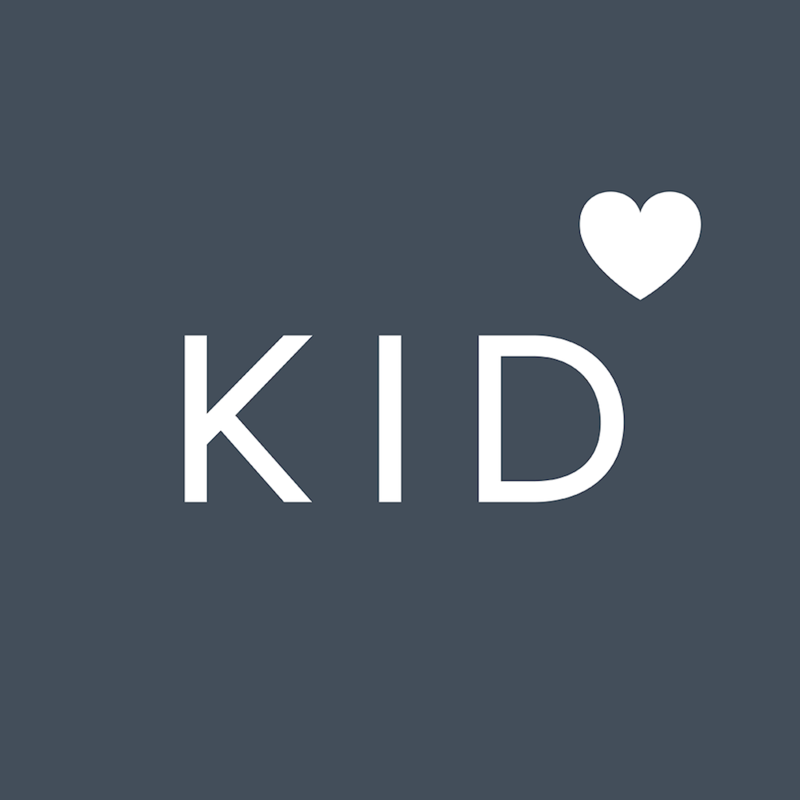 “Kidfund” and all related logos, graphics and icons are our service marks or trademarks. All other trademarks, service marks, product names and company names or logos that appear on the Service are the property of their respective owners, and their presence on the Service does not represent an endorsement of the Service. Some of the software or services made available through the Service may be subject to additional third party or open source licensing terms and disclosures, including those linked to or set forth in the Service. Generally. The Service may provide links and other connections to third-party websites, applications and services (“Third-Party Sites”), and may allow Third-Party Sites to provide information or services through the Service. We may also make certain portions of the Service available through Third-Party Sites. The content, features and business practices of Third-Party Sites are not under our control, and we will not be responsible or liable for any damage or loss caused by or in connection with the use of Third-Party Sites or any information, product or service available on or through such Third-Party Sites. Our provision of a link to, or services through, any Third-Party Site does not imply any endorsement by us or any affiliation between us and the Third-Party Site. Your use of any Third-Party Site or other services of any third party is between you and such third party. Connecting Your Third-Party Site Accounts. The Service may provide you with the ability to connect your use of the Service to accounts you open or maintain with specified Third-Party Sites (for example, a bank or other financial institution with which you open or maintain an account, referred to herein as the “Bank”). If you choose to connect to your Third-Party Site account in this way, you grant us permission to submit information to such Third-Party Site related to your use of the Service, and to access your content on the Third-Party Site and use it to provide the Service in accordance with these Terms. In some cases, you may change our ability to access such content by changing the permission settings in your Third-Party Service account, but note that doing so may affect the functionality of the Service. Monetary Transfers Facilitated by Stripe. Certain payment processing services made available to you on the Service are provided by Stripe and are subject to the Stripe Connected Account Agreement, which includes the Stripe Terms of Service (collectively, the “Stripe Services Agreement”). By agreeing to these Terms or continuing to use the Service, you agree to be bound by the Stripe Services Agreement, as the same may be modified by Stripe from time to time. As a condition of the Service enabling payment processing services through Stripe, you agree to provide us with accurate and complete information about you, and you authorize us to share it and transaction information related to your use of the payment processing services provided by Stripe. Charitable Contributions. The Service may allow you to make charitable contributions to third party causes. We work with third party service providers to make and manage these charitable contributions. You authorize us to share your identity, address and contribution information with such providers in order for them to comply with their reporting obligations to applicable government authorities. You are responsible for all content you submit to the Service, whether directly or indirectly through an Authentication Service or other Third-Party Site. You represent and warrant that you have all rights necessary to submit such content to the Service, and that the display and other use of such content by us will not violate the rights of any third party. You hereby grant us the non-exclusive, worldwide, royalty-free, perpetual, irrevocable, sub-licensable, transferable license to use, reproduce, modify, translate, publicly display, perform, create derivative works of, publish, distribute and promote any content you submit to the Service. We may store and process such content within or outside of the United States of America. We reserve the right, in our sole discretion, to remove, move or otherwise restrict any content submitted to the Service, at any time and for any or no reason, with or without notice. In using the Service, you may access content submitted or otherwise made available by other users. We do not pre-screen, edit or review content submitted to the Service. You may be exposed to content that is inaccurate, offensive, indecent or objectionable. We do not make any representations or warranties about the accuracy, integrity, quality or any other aspect of such content, and we will not be liable for any damage or loss caused by or in connection with the use of such content. By using the Service, you agree to bear all risks associated with the use of any content on the Service and any reliance on the accuracy, completeness, or usefulness of such content. YOUR USE OF THE SERVICE IS AT YOUR SOLE RISK. THE SERVICE IS PROVIDED ON AN “AS IS” AND “AS AVAILABLE” BASIS. WE AND OUR AFFILIATES, OFFICERS, EMPLOYEES, AGENTS, PARTNERS AND LICENSORS EXPRESSLY DISCLAIM ALL WARRANTIES OF ANY KIND, WHETHER EXPRESS OR IMPLIED, INCLUDING, BUT NOT LIMITED TO THE IMPLIED WARRANTIES OF MERCHANTABILITY, FITNESS FOR A PARTICULAR PURPOSE AND NON-INFRINGEMENT. TO THE MAXIMUM EXTENT PERMITTED BY APPLICABLE LAW, WE AND OUR AFFILIATES, OFFICERS, EMPLOYEES, AGENTS, PARTNERS AND LICENSORS SHALL NOT BE LIABLE TO YOU FOR ANY DIRECT, INDIRECT, INCIDENTAL, SPECIAL, CONSEQUENTIAL OR EXEMPLARY DAMAGES, INCLUDING, BUT NOT LIMITED TO, DAMAGES FOR LOSS OF PROFITS, GOODWILL, USE OR DATA, OR OTHER INTANGIBLE LOSSES, RESULTING FROM OR INCURRED IN CONNECTION WITH: (i) THE USE OR THE INABILITY TO USE THE SERVICE OR TERMINATION OF THE SERVICE; (ii) ANY GOODS, DATA, INFORMATION OR SERVICES PURCHASED OR OBTAINED OR MESSAGES RECEIVED OR TRANSACTIONS ENTERED INTO THROUGH OR FROM THE SERVICE; (iii) UNAUTHORIZED ACCESS TO OR ALTERATION OF YOUR TRANSMISSIONS OR DATA; (iv) STATEMENTS OR CONDUCT OF ANY THIRD PARTY ON THE SERVICE OR ACCESSED THROUGH THE SERVICE; OR (v) ANY OTHER MATTER RELATING TO THE SERVICE. WITHOUT LIMITING THE FOREGOING, AND TO THE MAXIMUM EXTENT PERMITTED BY APPLICABLE LAW, OUR MAXIMUM AGGREGATE LIABILITY ARISING OUT OF OR RELATING TO THE SERVICE AND THIS AGREEMENT SHALL NOT EXCEED THE FEES PAID BY YOU TO US IN CONNECTION WITH THE SERVICE DURING THE TWELVE (12) MONTHS PRECEDING THE DATE OF THE INITIAL EVENT CAUSING OR RESULTING IN SUCH LIABILITY. THE FOREGOING PROVISIONS RELATED TO LIMITATIONS ON DAMAGES AND LIABILITY APPLY: (i) TO ALL TYPES OF DAMAGES AND LIABILITY INCLUDING WITHOUT LIMITATION FOR NEGLIGENCE; (ii) REGARDLESS OF THE FORM OF ACTION, WHETHER IN CONTRACT, TORT, STRICT LIABILITY OR OTHERWISE; (iii) EVEN IF WE ARE ADVISED IN ADVANCE OF THE POSSIBILITY OF SUCH DAMAGES OR LIABILITY AND EVEN IF SUCH DAMAGES OR LIABILITY IS FORESEEABLE; AND (iv) EVEN IF ANY REMEDIES FAIL OF THEIR ESSENTIAL PURPOSE. YOU AND WE AGREE THAT EACH OF US MAY BRING CLAIMS OR ACTIONS AGAINST THE OTHER ONLY ON AN INDIVIDUAL BASIS AND NOT AS A PLAINTIFF OR CLASS MEMBER IN ANY PURPORTED CLASS OR REPRESENTATIVE ACTION OR PROCEEDING. CLASS ACTIONS, PRIVATE ATTORNEY GENERAL ACTIONS, AND CONSOLIDATION WITH OTHER CLAIMS OR ACTIONS ARE NOT PERMITTED. To the fullest extent permitted by law, you agree to indemnify and hold harmless us and our affiliates, officers, employees, agents, partners and licensors from and against any loss, damage, liability and costs, including reasonable attorneys’ fees, incurred in connection with any claim by any third party due to or arising out of your use of the Service, your violation of these Terms or the rights of another party, or content you submit to the Service. (6) a statement by you that the above information in your Notice is accurate and, under penalty of perjury, that you are the copyright or intellectual property owner or authorized to act on the copyright or intellectual property owner's behalf. Notices. We may provide you with notices, including those regarding changes to these Terms, by email, regular mail or postings on the Service. Entire Agreement. These Terms represent the entire agreement between you and us with regard to their subject matter, they supersede all prior agreements and representations, and they may not be modified except by us in writing (including modifications by us to this page). In the event of any conflict between these Terms and any instructions or guidelines included in the Service, these Terms shall control. Choice of Law and Forum. These Terms, your use of the Service and the relationship between you and us, and any disputes, claims or causes of action related to the foregoing, shall be governed by the law of the State of New York, United States, without regard to its conflict of laws principles, and any such dispute, claim or cause of action shall be brought only in federal or state court in the County of New York, New York, United States, and you and we hereby generally and unconditionally submit to and accept the jurisdiction of such courts. Assignment. These Terms, including without limitation any rights or obligations provided for herein, may not be assigned, delegated or otherwise transferred by you. Any assignment, delegation or transfer attempted to be made in violation of these Terms shall be null and void. Waiver and Severability. Our failure to exercise or enforce any right or provision of these Terms shall not constitute a waiver of such right or provision by us. Any provision of these Terms which is held invalid or unenforceable in any jurisdiction will, as to that jurisdiction, be ineffective only to the extent of such invalidity or unenforceability and without rendering invalid or unenforceable the remaining provisions of these Terms or affecting the validity or enforceability of any of the provisions of these Terms in any other jurisdiction, and the court or tribunal so holding will be empowered to substitute, to the extent enforceable, provisions similar to said provision, or other provisions, so as to provide to the parties the benefits intended by said provision to the fullest extent permitted by applicable law. If any provision of these Terms is so broad as to be unenforceable, the provision will be interpreted to be only so broad as is enforceable. Statute of Limitations. Regardless of any statute or law to the contrary, any claim or cause of action by you arising out of or related to these Terms or the use of the Service must be filed within one (1) year after such claim or cause of action arose or be forever barred.